Three UNM School of Law alumni were honored at the New Mexico Defense Lawyers Association (NMDLA) Annual Awards Luncheon, CLE and Annual Meeting on September 29, 2017. Mark Mowery (’81) received the Outstanding Civil Defense Lawyer of the Year Award, Justin Goodman (’11), received the Young Defense Lawyer of the Year Award and Patrick Coronel (’17) was recognized for his service to NMDLA by founding the student chapter and solidifying NMDLA’s presence at the law school. Mark Mowery (’81) received the Outstanding Civil Defense Lawyer of the Year Award. Mowery is a director in the Santa Fe office of the Rodey Law Firm and practices in the Litigation Department, with a special emphasis in personal injury, property damage, product liability, medical malpractice claims and general insurance defense. Mowery also has an active mediation practice. “I have been an active member of the NMDLA since its early days in the mid-1980’s,” said Mowery. “For anyone who practices primarily on the defense side of civil cases, it is a great resource and provides easy access to a network of similarly focused litigators.” Mowery credited his success to the solid foundation he gained while attending UNM School of Law. 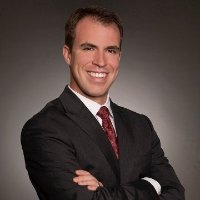 Justin Goodman (’11) received the New Mexico Defense Lawyers Association Young Lawyer of the Year Award. Goodman is an associate at Stiff, Keith, & Garcia, LLC, where he maintains a civil litigation practice in the areas of insurance law, bad faith, personal injury, fraud investigation, and construction defect. He serves on the Alumni Association Board and is an adjunct faculty at the law school. Coronel is an associate at the Rodey Law Firm. 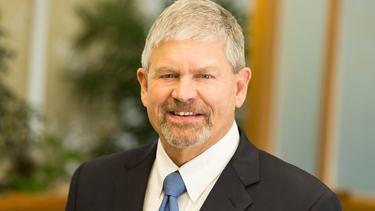 His practice involves civil defense litigation in health law and products, and general liability. Patrick Coronel (’17) was recognized for his service to the NMDLA. He served as the Founding President of the NMDLA Student Chapter. 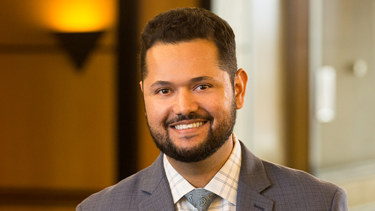 “During law school, my closest mentors were NMDLA members, and they helped me realize that civil defense attorneys face many misconceptions about their practice,” said Coronel. “The civil defense bar in New Mexico is friendly, professional, and willing to provide mentorship and guidance to law students who are considering civil litigation.” Coronel encouraged UNM School of Law students to get involved with the NMDLA Student Chapter so that they can learn about the many benefits of civil defense work in New Mexico.